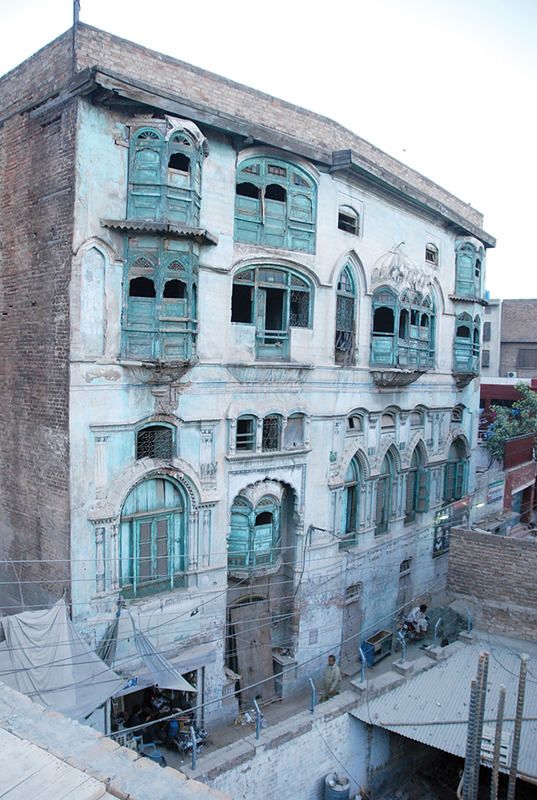 Prithviraj Kapoor’s home and Raj Kapoor’s cradle, the 40-room Kapoor haveli, in Peshawar, is a phantom of its former self. But, to the jewellers of the city, it could have been as good as new. In 1968, jeweller Haji Khushal Rasool bought the Kapoor haveli in an auction. In 1984, he sold it to another jeweller, Haji Israr Shah’s father, who owns it to this day. But, neither Rasool nor Shah could make it their own. The Kapoors will always be the haveli’s first family, just like they’ve always been Hindi cinema’s. It’s been several decades since the Kapoors, Kumars and Khans left Peshawar, but Peshawar, it seems, isn’t ready to leave them. Three prominent Bollywood personalities — Prithviraj Kapoor, Dilip Kumar and Shah Rukh Khan — trace their ancestral homes to the same 200-metre radius in Peshawar. There are few left today who can remember them in their streets; there are several just old enough to recall their return. Connecting these generations to Indian cinema is a deep well of pride and a deeper well of loss. Off the main street of the nearly 2000-year-old Qissa Khawani Bazaar (the storytellers’ market), in a labyrinth of sorts, stand buildings that precede Partition. These buildings, tall and lonely, graceful and graceless, are like old mistresses: forgotten, yet cherished. It’s here, in Dhaki Munawar Shah neighbourhood, that the Kapoors began their journey. And, it is here, in 1924, that Raj Kapoor was born. A partially broken slab with an almost invisible inscription states that the haveli’s construction began in 1918 and ended in 1922. Land records from the Peshawar museum show the building was originally owned by Prithviraj’s father, Dewan Basheswarnath Singh Kapoor. Prithviraj was born and bred here and studied at the city’s Edwardes College before he moved to Bombay in 1928. It was after Partition that the entire Kapoor family, like many Hindu families at the time, left Peshawar. Private company IMGC Global Entertainment was in talks with the preceding provincial government to take over the house and turn it into a museum. But, the government refused on the premise that the house is of national importance and private owners are only welcome to help in conservation and preservation efforts. So, at present, the 40-room haveli is waiting for someone to come and pick up the pieces. The mansion was once a five-storey building, but only three floors remain. 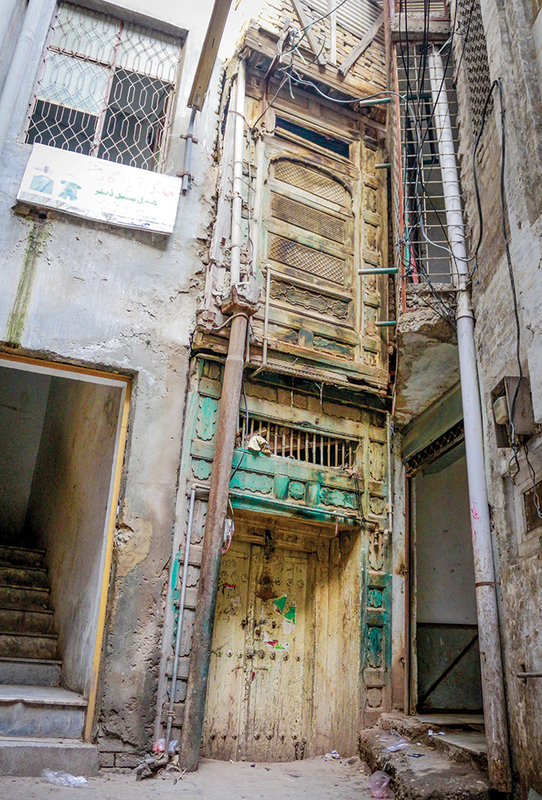 “The building was damaged in an earthquake and the owner pulled down two floors because he feared it would collapse,” says 64-year-old Bismillah Khan, a resident of Dhaki Munawar Shah and a living reference book on the history of Peshawar. Although the original structure has been altered, the austere silence in the courtyard recreates a world that once was. The arched wooden windows, the green jharokhas and the floral and geometric designs on the gate are some of the rare remnants of the city’s old architecture. The smell of wood still prevails. The plaster fallen from the ceiling lies untouched on the floor. The wooden carvings on the jharokha are decaying, rickety.